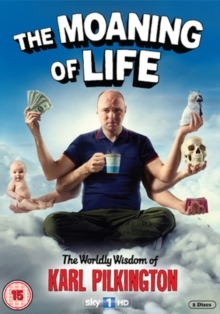 Travel documentary series presented by Karl Pilkington. After turning 40, Karl decides it is time to re-evaluate his life and travels abroad (this time of his own accord) to experience how other cultures deal with coming-of-age issues. Karl explores the reasons why people get married, have a job and bring up children and shares his experiences of coping with death. Will Karl discover the secret to true happiness?